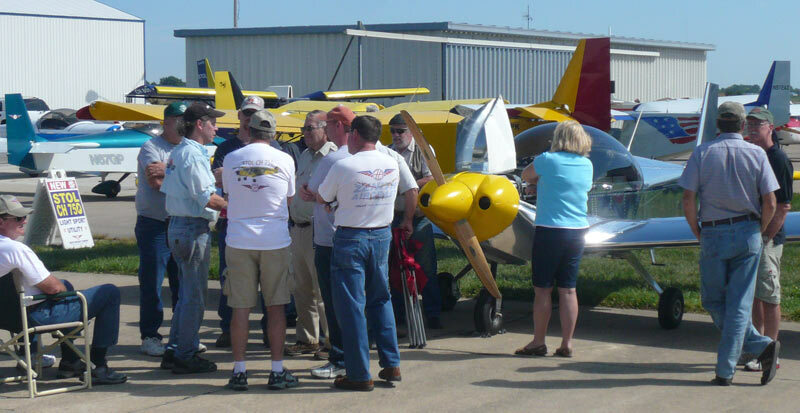 Great fellowship, planes, food, and weather! 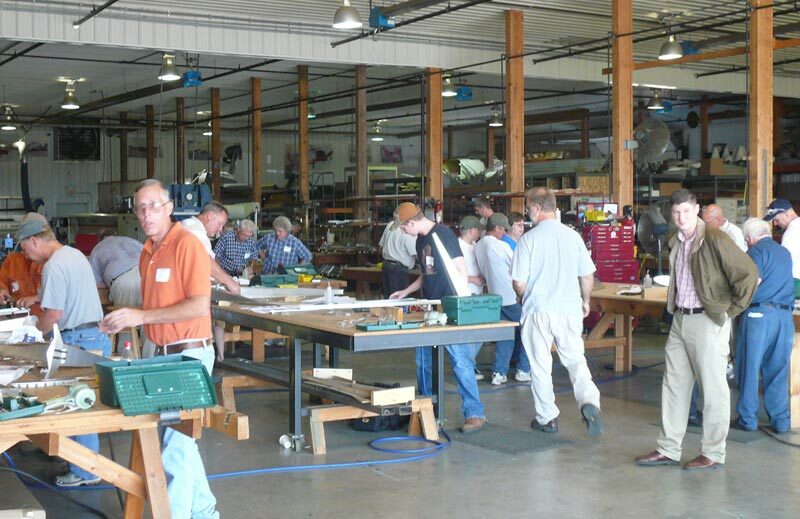 We had another successful event on Friday and Saturday, with several hundred visitors from around the country. 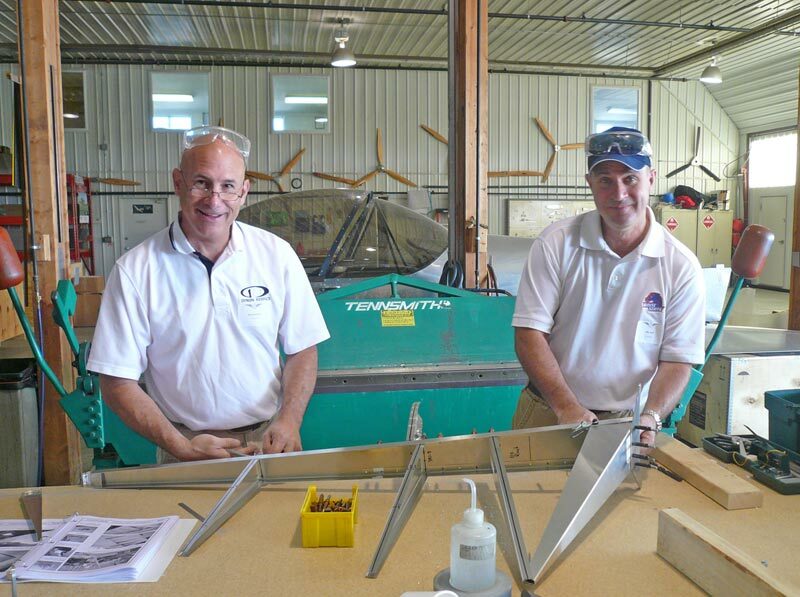 Kirk Kleinholz and Mike Huff from the Dynon factory attended the factory workrshop prior to the Open Hangar Day to construct their own rudder. 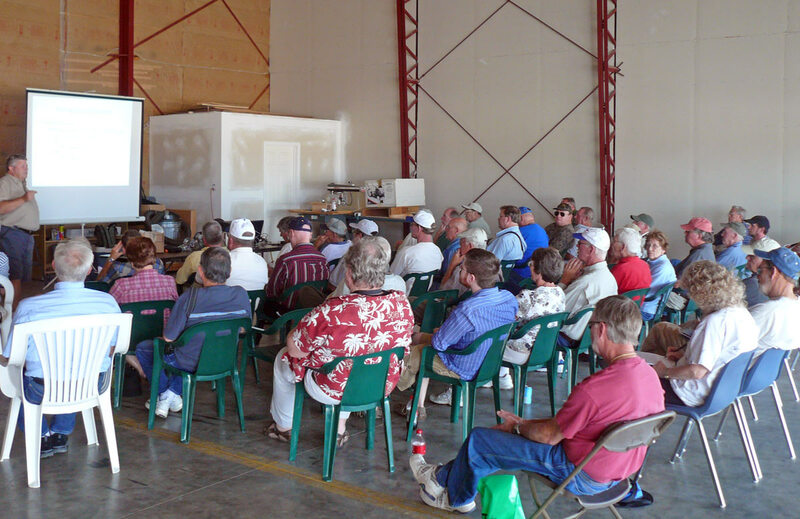 Jabiru engine seminar presented by Pete Krotje of JabiruUSA. 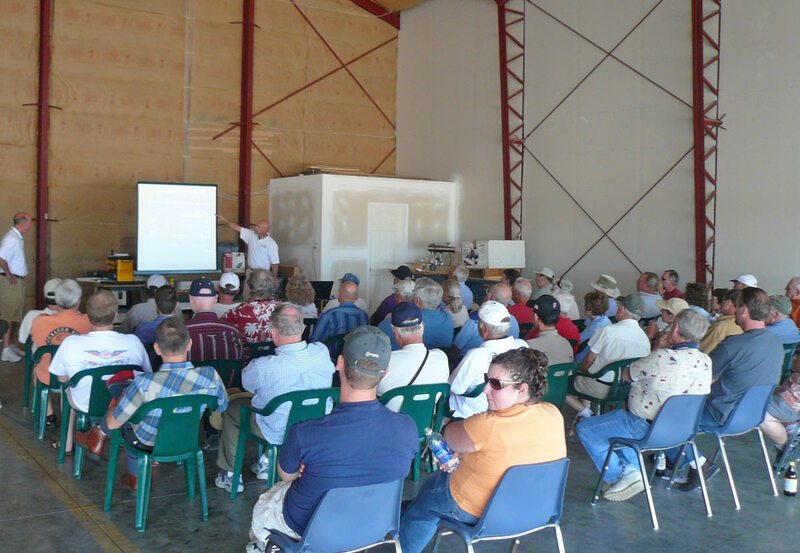 This informative workshop covered everything about operating and maintaining the Jabiru aircraft engines, including the 4-cylinder Jabiru 2200 and the 6-cylinder Jabiru 3300. 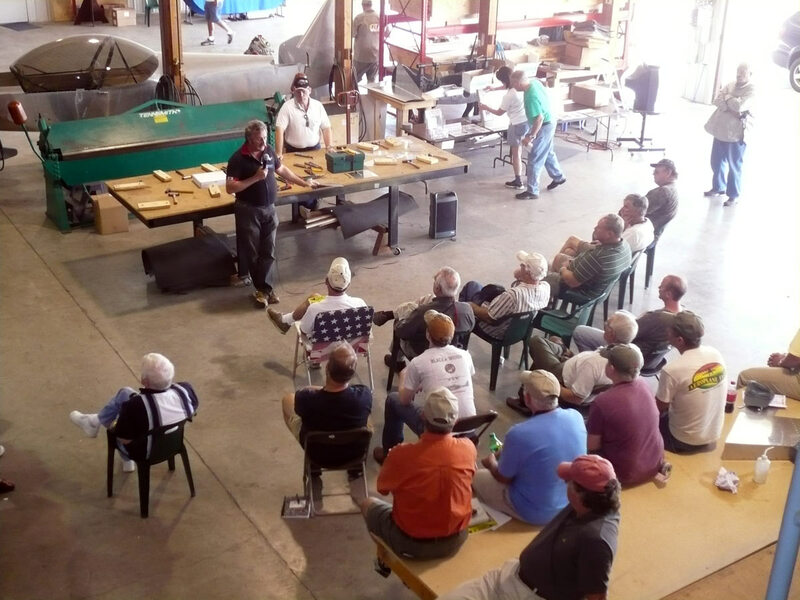 Specifically for owners and pilots, Pete presented a program on tuning the Bing carburetor, with details on collecting the necessary info for carb tuning, evaluating this info, and then making the necessary carb adjustments to achieve the desired results. 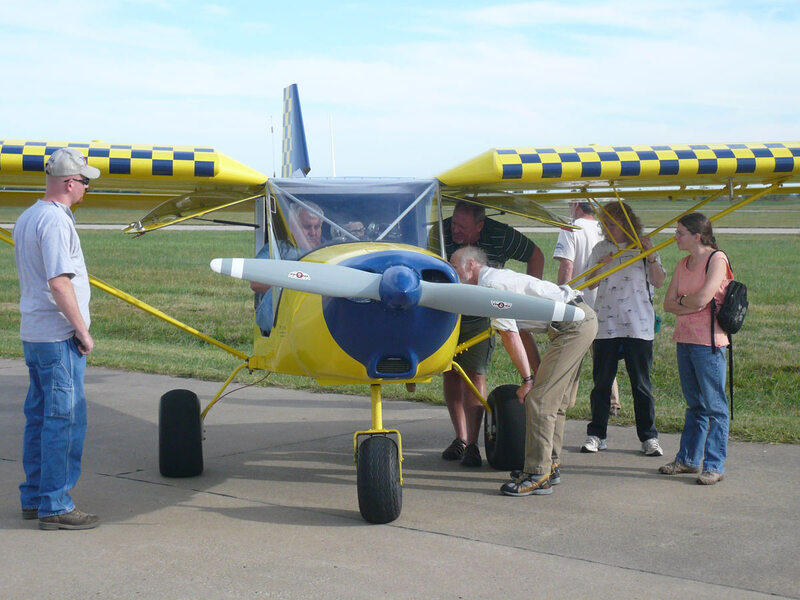 Pete also discussed maintenance and operation issues specific to the Jabiru engine. 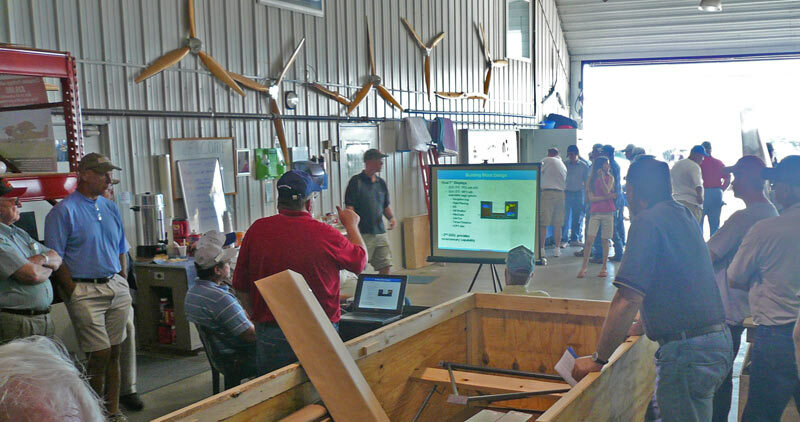 Mark Townsend of Can-Zac Aviation presented a workshop on building your own Zenith from plans-only, covering the tools, materials and skills needed to build your own Zenith plane from just a set of blueprints (as opposed to the kit). 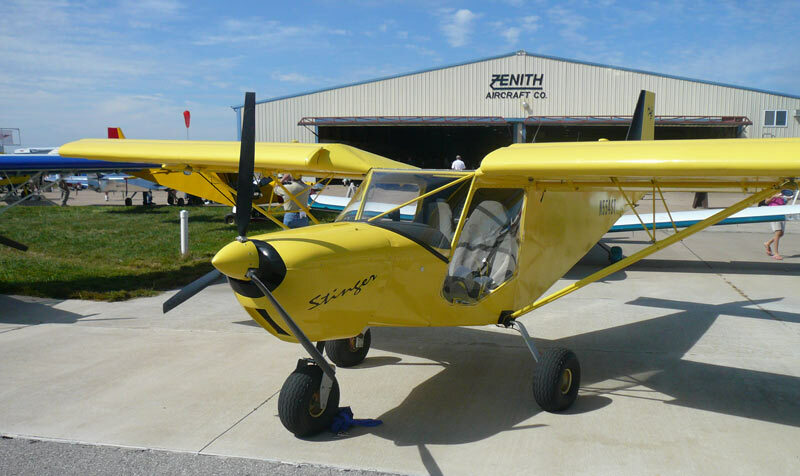 Dynon Avionics, maker of the popular EFIS & EMS installed in many Zeniths, showed the latest innovations and features available from Dynon Avionics. 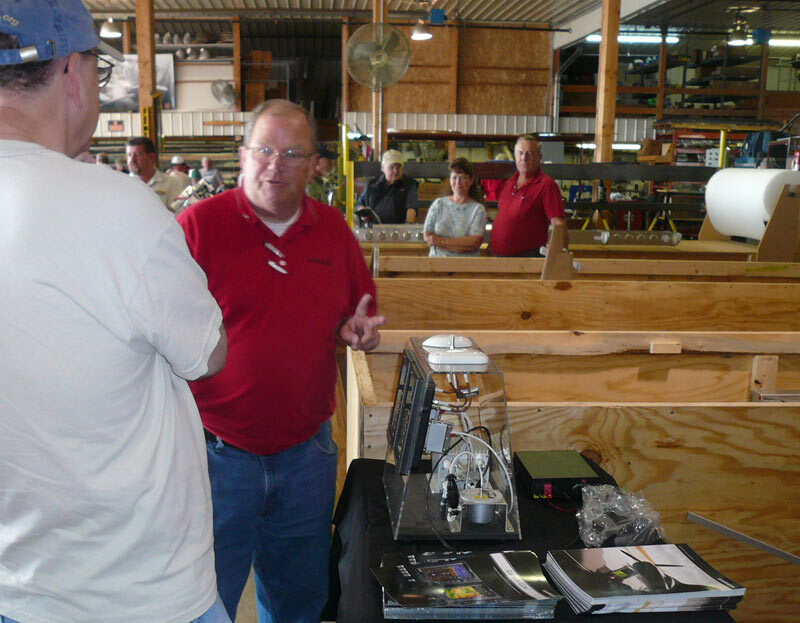 Factory representatives discussed installation and operation of the popular "glass panels." 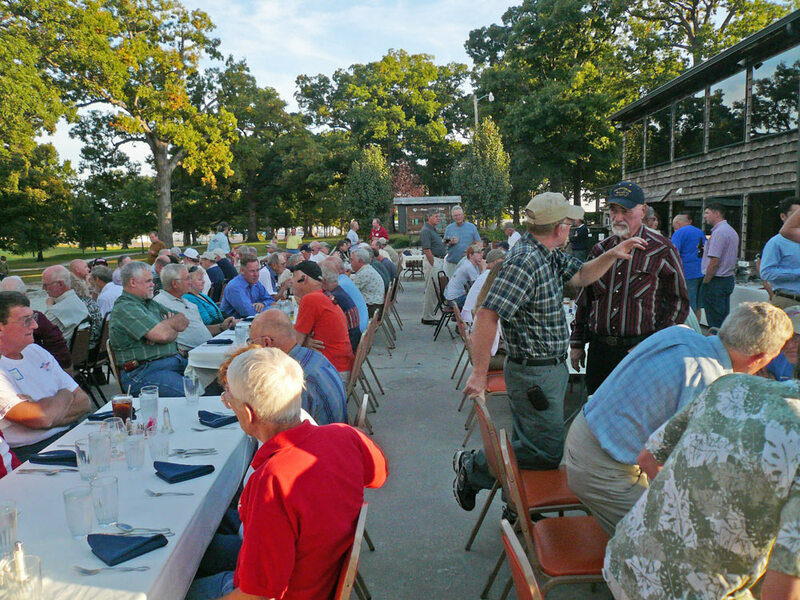 Thanks in part to great weather, the outdoor dinner buffet was enjoyed by more than 100 builders and Zenith employees. 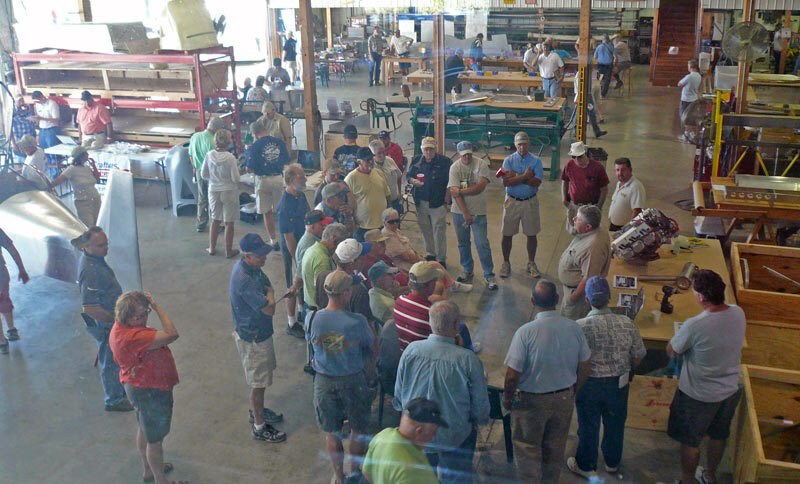 Great door prizes were awarded by participating vendors, including a hand-held GPS unit from Garmin. 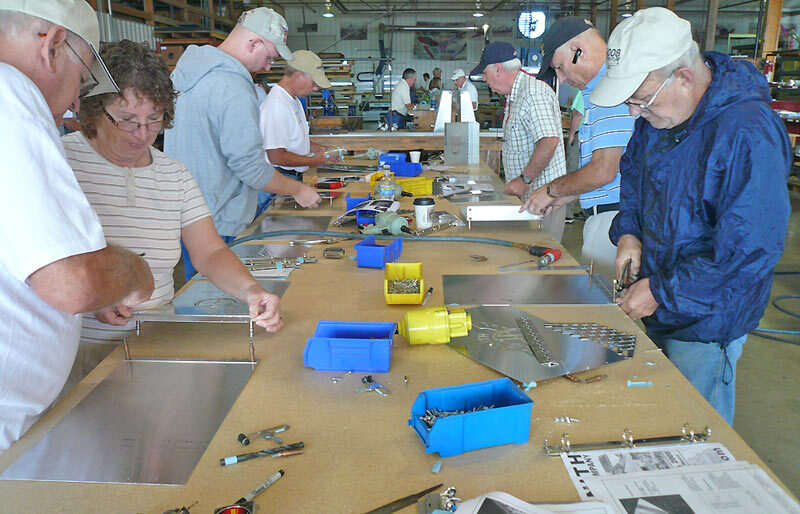 On Saturday, several hundred visitors shared stories about building and flying their aircraft, visited our factory, and attended seminars and workshops. 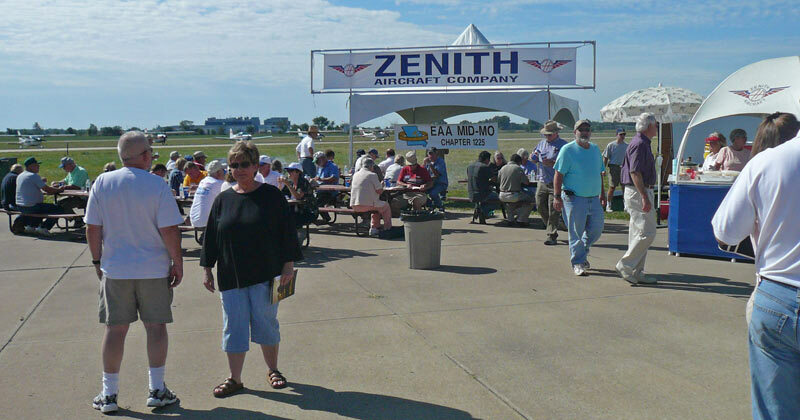 65 planes flew in to the Mexico Airport to attend Zenith's 18th annual Open Hangar Day event. 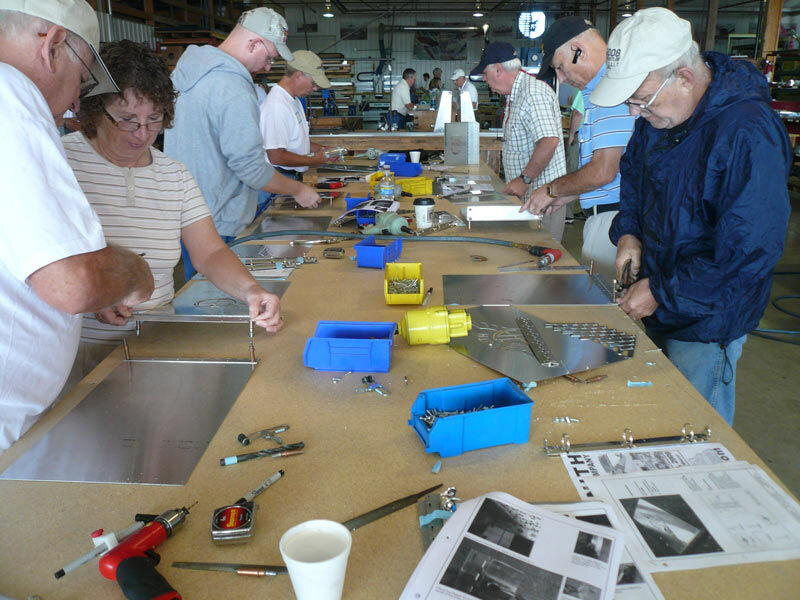 Builders were given the opportunity to "build their own" all-metal large format (11x17) binder for the Zenith plans set. 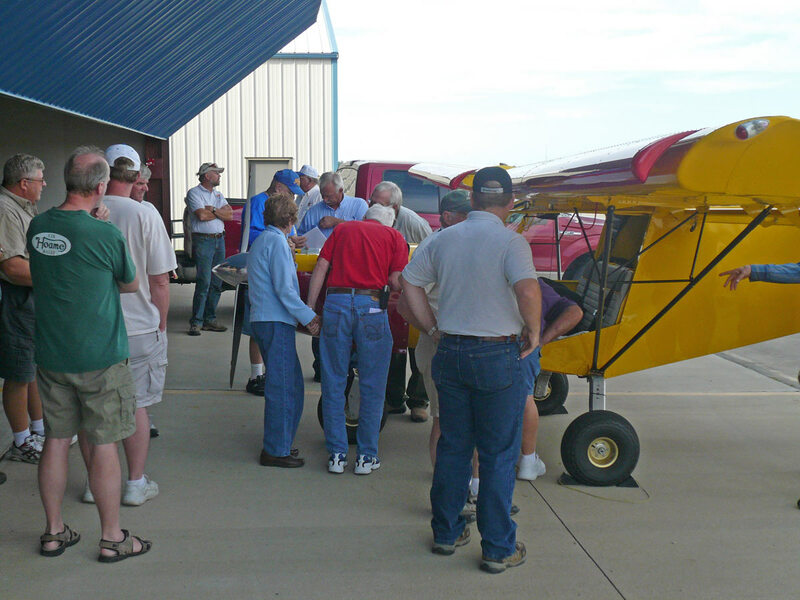 The local EAA club served a complimentary BBQ lunch (and raised scholarship money). 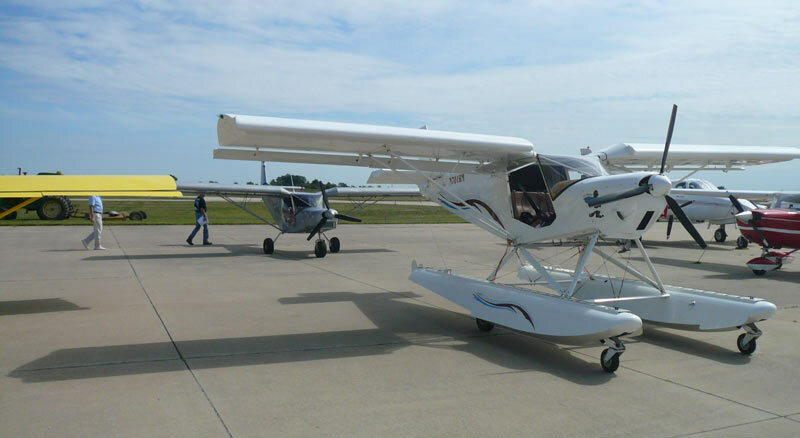 Tim Casey, Garmin's sales manager for portables, LSA, and Experimental Aviation Markets, answers questions on installing and operating Garmin avionics in Zenith aircraft. 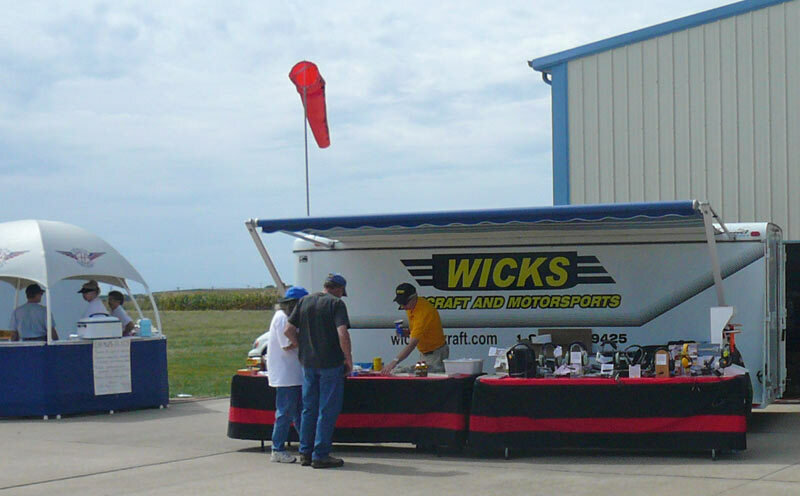 Garmin Avionics showed the latest Garmin products for light sport aircraft including the new GSX flight deck. 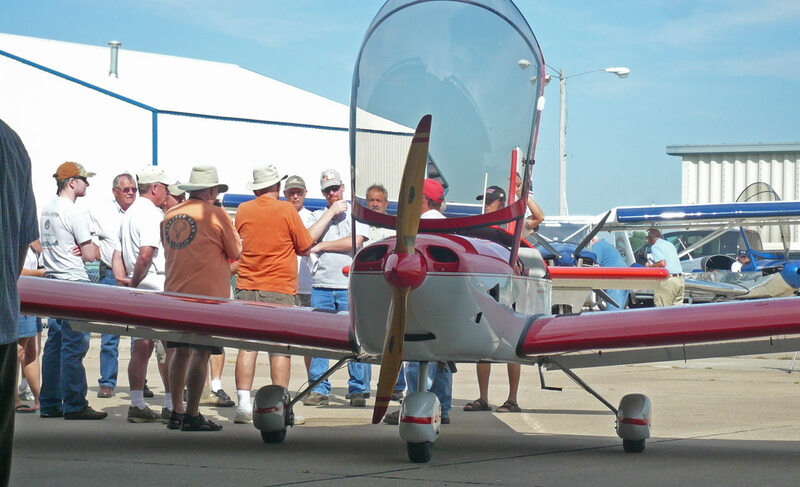 Gus Warren of FlyWithGus.net attended with a lightweight ULpower engine, and was on hand to discuss this modern new European aircraft engine. 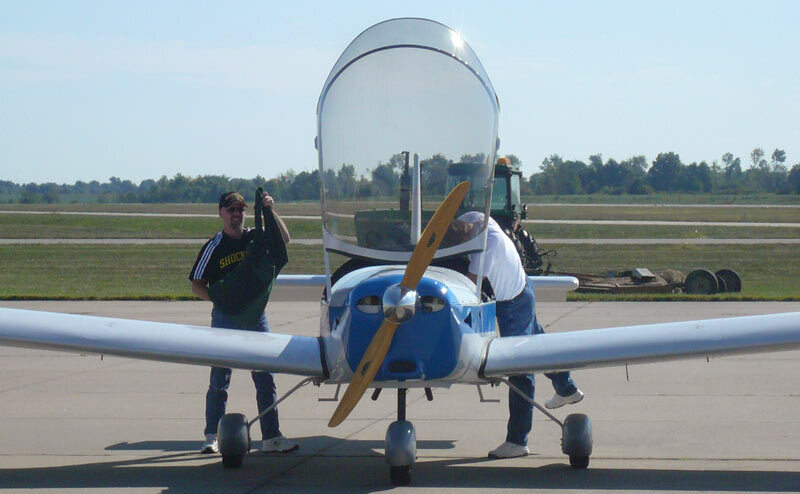 Gus, who is also an A&P mechanic and flight instructor, answered questions about Sport Pilot and Light Sport Aircraft (LSA). 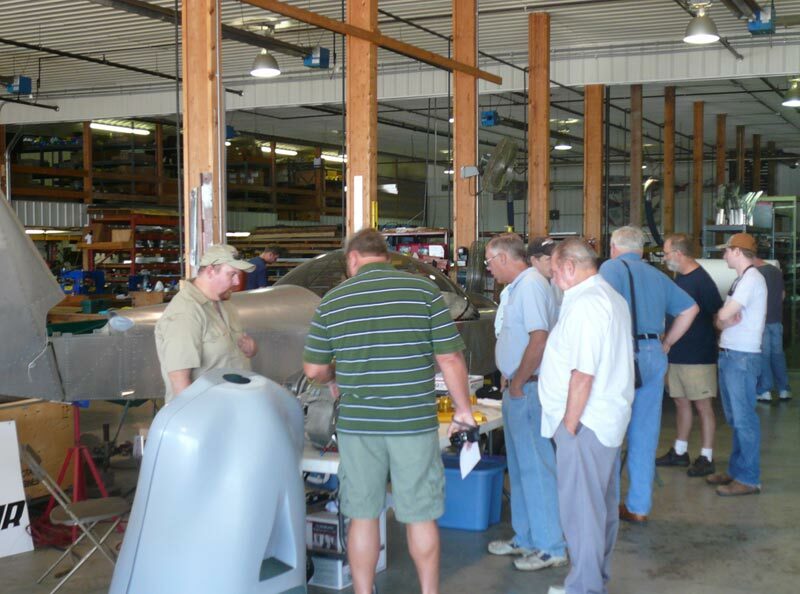 William Wynne, Corvair engine guru and the man behind FlyCorvair.com discusses the Corvair auto engine conversions in the STOL CH 750 and ZODIAC CH 650. 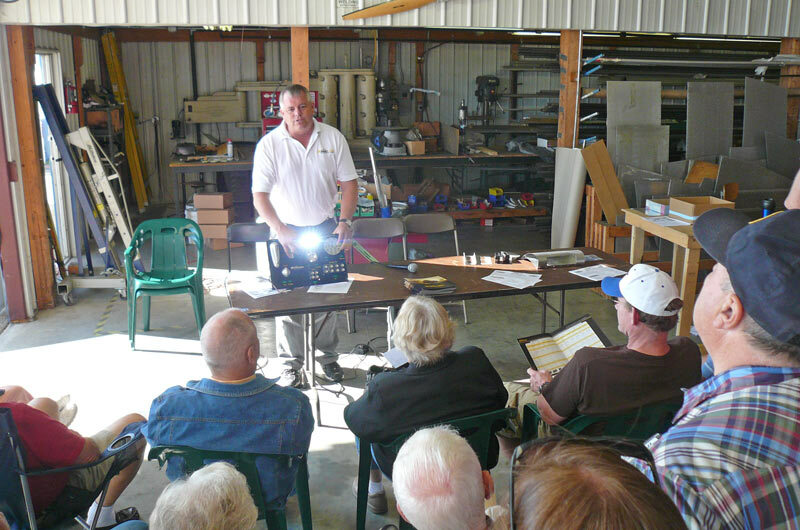 Dean Wilkerson, chief technology officer of AeroLEDs, discusses the technology behind aircraft lighting systems using light emitting diodes (LEDs), and shows the latest LED (light emitting diode) aircraft lights, including wingtip mounted strobe / nav lights as well as an assortment of new landing lights. 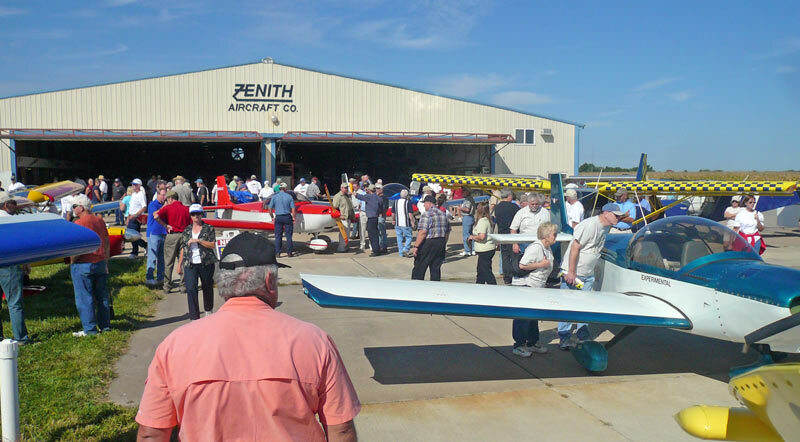 65 planes flew in to the Mexico Airport to attend Zenith's 18th annual Open Hangar Day event. 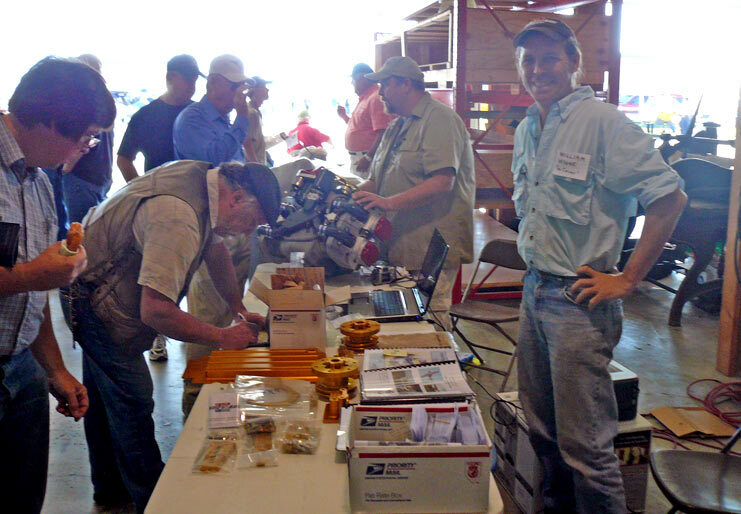 Scott Wicks of Wick's Aircraft Supplies hands out catalogs and showcased some of the builder supplies offered by Wick's (a large selection of aircraft building materials and hardware, tools, and accessories). 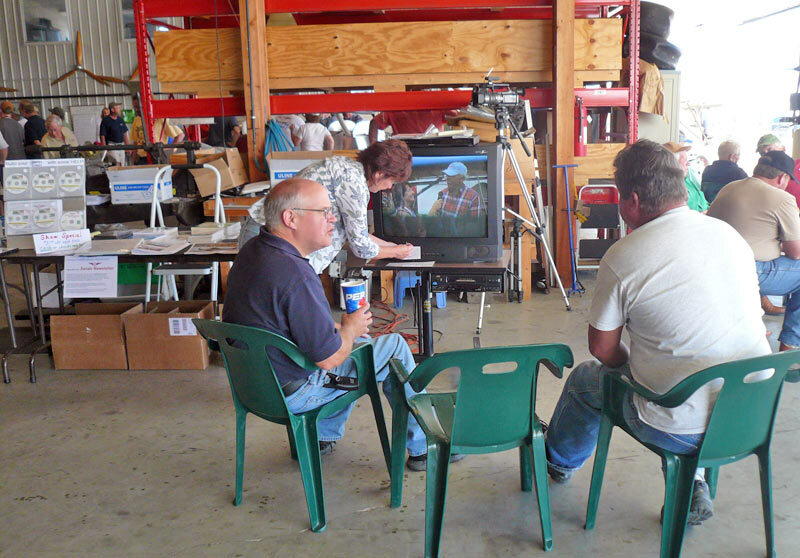 Workshops and seminars in the Zenith factory. 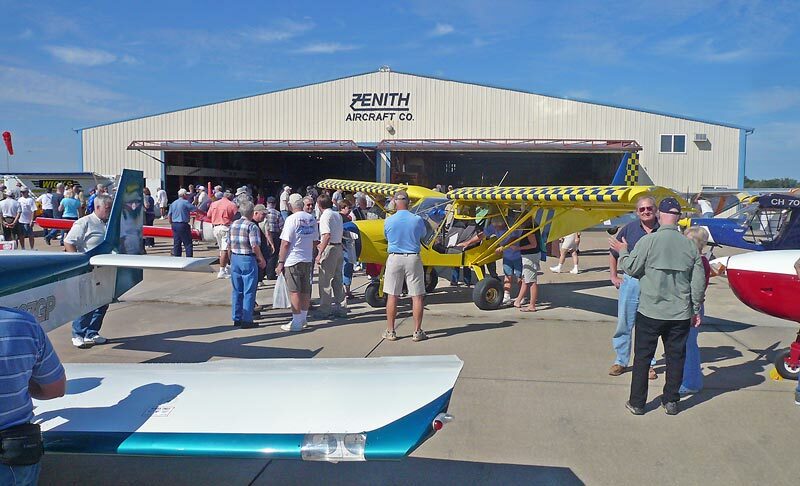 Builders and their planes pose in front of the Zenith factory for the traditional group photo. 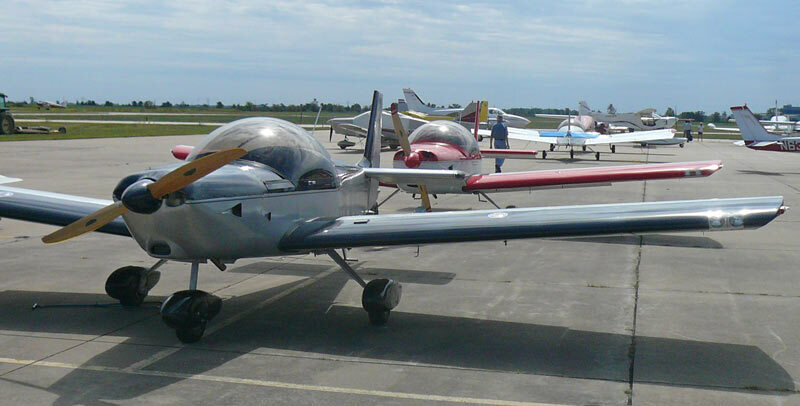 Can you spot the 14 airplanes in this photo? 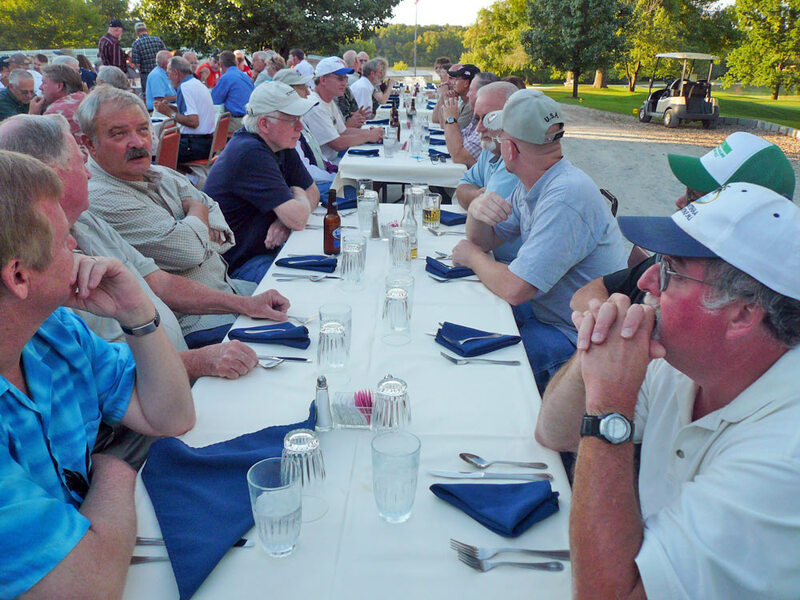 Thanks to all who participated and helped make our 18th annual event the best one yet! See you next year!